Last year, the President of Nauru, Baron Waqa, was among Pacific leaders who attended the 49th Pacific Islands Forum Leaders meeting hosted by Samoa. During the meeting, he made a specific promise to the media. He assured everyone that they would all be allowed into Nauru to cover this year’s Forum meeting. He didn’t stop there. As a jab to the protocols in Samoa where the media was prohibited from covering certain parts of the Forum meeting – including the Small Island States (S.I.S.) meeting which Nauru was part of - Mr. Waqa went further and promised that in Nauru this year, the media will be allowed to cover every session of the 50th Pacific Islands Forum Leaders meeting. In making the promise, President Waqa acknowledged the important role of the media, journalists in particular, and the impact of their work in educating the public about issues. “So let me assure you that we are working with the Forum to make sure you all get there,” he said. In Apia, Prime Minister Tuilaepa Dr. Sailele Malielegaoi was the Chairman of the Forum. Asked about Mr. Waqa’s claim about media access and his promise for all media to be allowed into Nauru, Tuilaepa was reluctant to comment. “I will not say anything but you can report what he had to say,” Tuilaepa said. Well we did. We reported exactly what President Waqa said. That was nearly a year ago and thinking back now, maybe Prime Minister Tuilaepa knew something we didn’t. You see, we say this because this week, President Waqa has clearly changed his mind about the media, if reports from Australia and Nauru are anything to judge by. He has done a complete U-turn on the promise he delivered in Samoa, choosing to ban ABC from covering the Pacific Islands Forum in September. Now there are always two sides to a story and the Nauru government immediately highlighted their case. These are very serious allegations, which have been strongly denied by ABC of course. The Director of News, Analysis and Investigations at ABC, Gaven Morris, has vigorously defended ABC’s role and independent reporting in the Pacific region - including Nauru. At this stage, it’s worth remembering that the decision about ABC attending the Forum is not for them to make – unless the Australian government feels so strongly about the issue that Prime Minister Malcolm Turnbull would threaten not to attend the Forum at all. Which is unlikely to happen. What will happen though is that Nauru will not win this battle – in as far as the court of public opinion goes. President Waqa needs to remember that free press and freedom of speech is a vital part of any functioning democracy. Any attempt therefore to suppress such freedom points to a dictatorship, which Nauru does not want to be known as. The fact is, if Nauru had anything to hide, this is possibly the worst thing they could do is to ban a media outlet. You only do that if you have something to hide because the media will always find a way to expose whatever it is. Now for the past few days, criticisms of the Nauru government from all corners of the world have mounted. Here in the Pacific, our media groups are not staying silent. Take the Pacific Freedom Forum for instance. “The reasons provided by the Nauru government simply do not justify cutting off independent news reporting of a regional event to the people of the Pacific, by a leading Pacific broadcaster,” says P.F.F. Chair Monica Miller in a statement. The statement goes on to say that: “ABC has a right to be there and Forum leaders should be making their direct petitions to the host country on the need for ABC to continue covering the event back to Pacific nations. 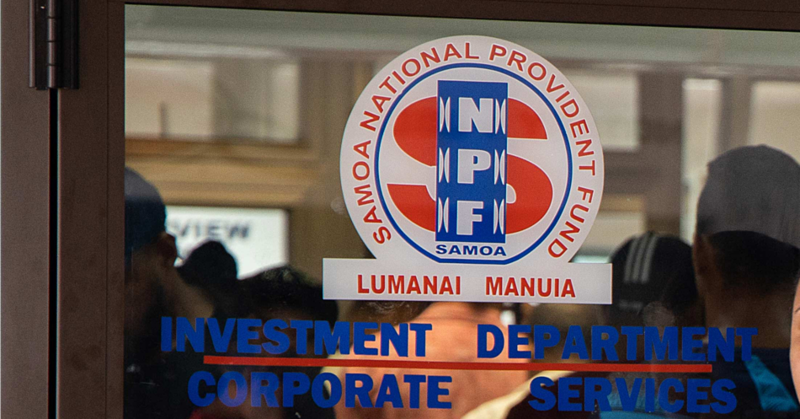 P.F.F is one of many regional media organisations – including the Pacific Islands News Association (P.I.N.A.) - who have stood up and condemned the ban. Here in Apia, the Samoa Observer calls on President Waqa and his administration to reconsider their decision. We want to remind them about the promise they made in Apia. Anything less including what they are threatening to do with ABC would mean they lied, which is something they don’t want to be remembered for.